(INCL. 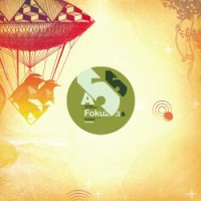 POSTER & STICKER) - Fokuz Recordings presents 'Fifty Five' a release that displays a wide variety of drum and bass styles by various artists around the globe! Expect the freshes beats from Fokuz residents Command Strange, DJ Clart, Incident, talented newcomers like Soligen, Type-2, Joakuim and rising stars Hybrid Minds, Paul SG, PennyGiles & Mr Joseph. On part 3 of the Fokuz Fift Five vinyl series Incident, LM1 & Nelver step up to the plate. 'Promise' by Incident revolves around a dreamy piano riff. The banging drums combined with a few electronic elements add some weight which make the overal outcome superb! On the flip LM1 & Nelver collaborate on a track called 'Disciple'. The track builds up with floating vibes and chimes then dropping into a bubble of bass and musical bliss, a lovely slice of d&b for the headz!